Dust Hill Zone is the name of a scrapped level intended to be featured in the Sega Mega Drive version of Sonic the Hedgehog 2. Development of this stage was handled primarily by Brenda Ross of Sega Technical Institute, and is themed on a desert, similar to those found in Southwest America, complete with cacti and sand. Dust Hill Zone's origins date back to early stages of Sonic 2 when time travel was still a planned feature for the game, where it existed as part of a "ruined present" timeline. Devised by Hirokazu Yasuhara, the "planner" of the game, Dust Hill existed at this point by name only, being analogous to present and past versions of a stage, Green Hill Zone (Emerald Hill) and Hill Top Zone, respectively. The zone survived the time travel concept and at some point became a desert level. 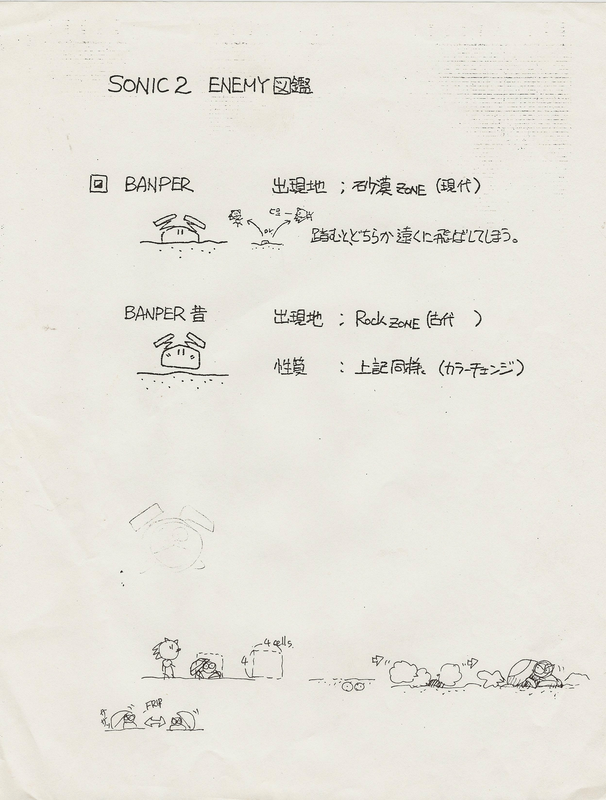 Brenda Ross was responsible for the levels' artwork, where it was known internally as "砂漠 Zone" (Sabaku Zone, literally "Desert Zone")Media:Sket banper.png and similar phrases such as "Desert", "Desert level" and "Desert Zone". It is claimed by Brenda Ross that the level's layout was completed before work began on Wood Zone, Ross' second level which was also ultimately scrapped. Ross also claimed in an interview that the level would have above ground and below ground sections. Alongside Ross, art director Tim Skelly has suggested that most of the graphic tiles would have been reused (with different colors) in a winter level. While using Brenda Ross' artwork for the stage, the HUD positioning is incorrect, Sonic is off-centre (due to his speed) and some graphics (such as the clouds) are borrowed from the original game. The level was not named, and may have never been known by the US artists, however when pressed, Hirokazu Yasuhara identified the level as Dust Hill Zone. The crocodile badnik, Gator as brought into the game, and in older builds was a placeable debug object in Hidden Palace Zone. Its artwork does not exist in the final game. Much like the Buzzers in this image however, it cannot be confirmed whether it was indended to be seen in Dust Hill, as Brenda Ross did not work on the objects and enemies. The Sonic 2 Simon Wai prototype's level Select screen, featuring Dust Hill Zone's name. Prototype versions of Sonic the Hedgehog 2 list a level called "Dust Hill Zone". When accessed in the "Simon Wai" prototype, the player is taken to an unfinished Mystic Cave Zone. This prototype and some later builds were sent to the gaming press, and as a result, Mystic Cave Zone was often referred to as "Dust Hill Zone". It is not known whether this was an overlooked error, the result of levels being re-arranged, or the name being recycled for Mystic Cave for a short period. As many levels were scrapped in Sonic 2 at various stages of development, it cannot be confirmed or denied that the two stages were linked in any way. Possible Dust Hill Zone leftovers, as shown in the Simon Wai prototype. Other possible remnants of Dust Hill include an empty level slot, accessed in this prototype by entering the Game Genie code AA7A-AGGY and choosing Green Hill Zone Act 1 in the stage select. Like Genocide City Zone, Death Egg Zone, and the second Act of Wood Zone, the stage is entirely empty, with the default background music being the tune used in Oil Ocean Zone in the final game. Possible Dust Hill Zone leftovers, as they appear in the final. These leftovers can also be accessed in the final game by entering the Game Genie Code ACLA-AGD8 (AB6X-AGBR in Knuckles in Sonic 2), and pressing start on "Sound Test" (or in Knuckles in Sonic 2, the Special Stage). This version of the stage is also comparable to the Genocide City Zone, as they both use broken Emerald Hill Zone tiles, have little collision data, and no objects, making the stages impossible to finish by any means. In both cases there is no definitive proof that the slot was intended for Dust Hill, but with most other levels from the era being accounted for and Dust Hill being reportedly complete on paper, the stage was a likely candidate for the slot. Dust Hill Zone continues to be a topic of speculation, being the only Sonic 2 game to be shown to the public that has yet to be found in a playable form. It is not functional in any preserved prototype of the game, and only Hirokazu Yasuhara has ever reliably linked the name to an image. Desert levels have since proved common in Sonic games, the first appearing as the 2P zone Desert Palace Zone in Sonic the Hedgehog 3 and as a full zone Sandopolis in Sonic & Knuckles. Sonic the Hedgehog CD has also been speculated to have its own scrapped desert stage (nearly re-imagined in the 2011 release as Desert Dazzle, with a similar look to Dust Hill). 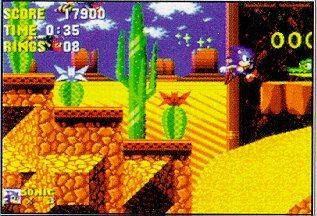 The Sonic Mania stage Mirage Saloon also draws heavy inspiration from the stage. This page was last edited on 2 May 2018, at 02:21.